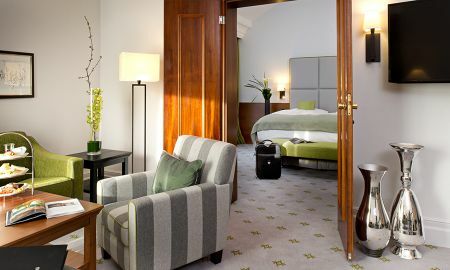 Kempinski Frankfurt Gravenbruch is a five-star superior hotel located in a historic 16th century building, in a large, picturesque park in Neu-Isenburg. 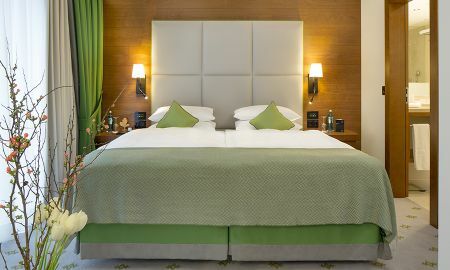 It offers a supreme experience by providing luxurious air-conditioned rooms and suites equipped with solid wood furniture, boasting stunning views over the hotel-owned park and lakeside area. 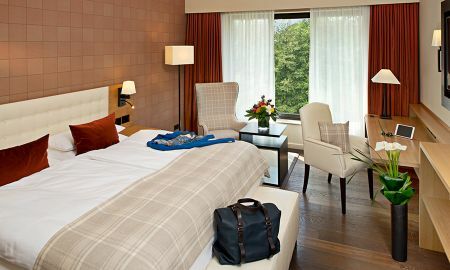 The hotel rooms and suites also have the most modern facilities to ensure guests a perfect stay. The Kempinski Hotel Frankfurt Gravenbruch houses three restaurants that meet every guest's need, by serving rustic and regional specialities from lunch to dinner. The refined Levante provides excellent Lebanese cuisine. The restaurant "Der EssTisch" convinces with international cuisine, whereas the Torschänke restaurant offers Hessian specialities. All three restaurants overlook the hotel's large and quiet park, to let guests feel in direct contact with nature. 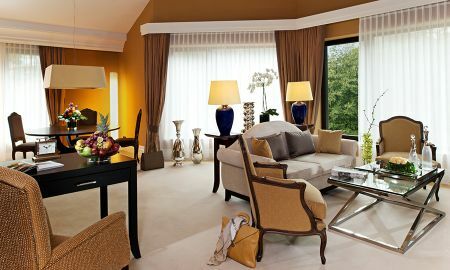 Kempinski Frankfurt awaits its guests in two lounges. The “K-Lounge” offers room to relax while enjoying a cocktail, a cup of coffee or fine droplets on the terrace, in the winter garden or by the fireplace. Guests who wish to enjoy a good cigar and a drink in a relaxing atmosphere should definitely try "Smoker's 100" and discover its old English charm. For open-air activities, the hotel also provides wonderful jogging paths surrounded by luxuriant vegetation. 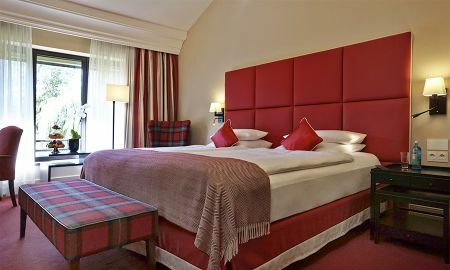 The Kempinski Hotel Gravenbruch Frankfurt rises in the large park in Neu-Isenburg, 15 minute drive from the city of Frankfurt. Don't miss the opportunity to visit this vibrant city known for its art, culture and for its cosmopolitan approach while staying in the elegant and wonderful Kempinski Hotel Gravenbruch Frankfurt.